Tout Table: Smooth Saleing or reason for concern? | TOUT WARS! Tout Table: Smooth Saleing or reason for concern? What is your level of Chris Sale concern? Who from this list do you prefer rest-of-season over Sale: Blake Snell, Jameson Taillon, Luis Severino, Carlos Carrasco, Walker Buehler, Trevor Bauer, Clayton Kershaw, Mike Clevinger, Jack Flaherty and Patrick Corbin? Brad Johnson (Patreon/BaseballATeam, @BaseballATeam): I’m definitely worried, but I wouldn’t say I’m ready to call him a non-ace yet. I valued him around pick 20 to 25 entering the season. Now I have him slightly after pick 30. In other words, two rough starts have barely affected my valuation despite elevated concern. As for pitchers I prefer, I’d definitely take Bauer over him. Probably Snell too. In other ace news, I’ve moved deGrom ahead of Scherzer on my personal pref-list. Ray Murphy (BaseballHQ, @RayHQ): We ran a survey of HQ staff a couple of weeks ago, and I was surprised at how pessimistic we were as a group… very disconnected from our pretty optimistic projection. But, big picture: there was nothing structurally wrong with him after last season. Boston just gave him a giant extension, and I don’t think he’d be getting paid like that, or pitching right now, if there were a health concern. I think Boston is just playing the long game and managing his workload, thus making his first two starts were the equivalent of mid/late March starts for another pitcher. Just in case I’m wrong, I might consider taking Bauer or Snell from the above list instead of him. But nobody beyond that. Gene McCaffrey (The Athletic, @WiseGuyGene): I was worried before the season started because the Sox babied him in the World Series, showing that surely they will baby him in the regular season. I’m a little more worried by the velocity loss but it’s hardly conclusive. That said, I would prefer ALL the above listed pitchers to Sale with the exception of Severino. I just don’t see ace IP to match the ace price, even if Sale turns it around. 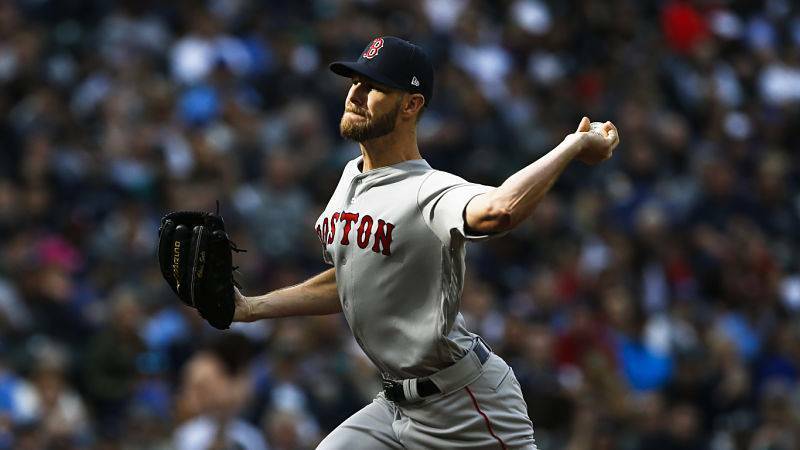 Derek Carty (RotoGrinders, @DerekCarty): I called Sale the top pitcher in fantasy before the season, and I still stand by a healthy, no-concerns Sale being the top option. He’s the best pitcher in baseball with the best run support of any ace. Losing 2-4 mph of velocity is a big deal if it sticks around, but his velocity through April last season was low, and he finished the year with one of his highest average velocities in years. The velocity paired with the late-season shoulder injury last year is what has people freaking out, but I’m not ready to lose my cool yet. It’s entirely possible Sale is just easing himself into the season. Yes, there’s concern that an injury does exist, but the extent of that concern is what matters. A no-concerns Sale is a $45-50 player. Most of the guys on this list are in the $20-30 range, some are more like $10-15. If you’re really scared, MAYBE you can think about Snell or Bauer. But you’re banking on either 1) Sale losing substantial value or 2) those guys repeating their career-best 2018 seasons. That’s risk in and of itself, and after two starts, this is a lot of value to give up if you’re not really sure that Sale isn’t going to be the same guy we’ve come to expect for the majority of this season. Charlie Wiegert (CDM Sports, @GFFantasySports): I’m not worried at all. He missed most of Spring Training and is just now catching up. Give him 2-3 more starts and he’ll be back to normal. I still think he’s the number 3 starter, behind Mad Max and Degrom. Todd Zola (Mastersball, @toddzola): Maybe I’m blinded by too many duck boat parades, but I’m not concerned about health. I am a liitle worried short-term we may not see as many whiffs, but if the trade-off is September punchies, I’ll take that exchange. I’d be looking to acquire him, even dealing someone like Gerrit Cole or Aaron Nola for Sale if I can also get a decent stick as well, especially if I lost someone like Trea Turner, Daniel Murphy, Miguel Andujar or perhaps Marcell Ozuna. Doug Dennis (BaseballHQ, @dougdennis41): I was all-in on Sale this year, rostering him in 3 leagues and taking the discount on what I perceived as his value. My worries are more about players on the IL right now–not Sale. I don’t prefer any of those list pitchers over Sale, ROS. Tim McCullough (Baseball Prospectus, @TimsTenz): If there was a true medical issue with Sale’s shoulder, I doubt the Red Sox would have extended his contract earlier this spring. In addition, it appears they have a plan to ease Sale into the season. After giving him just nine innings in spring training, it wouldn’t surprise me to see him limited to a max of six innings per start through April and perhaps into early May with the goal being to preserve him for September and beyond. If the Sale owner in my leagues is panicking, I’m buying. Anthony Perri (Fantistics, @Anthony_Perri): Seeing him only averaging 89.6 MPH on his fastball in last start is alarming, until you look back to last year and see that his fastball was also less than his norm in April. In fact last April 15th, he averaged 89.5. So when you combine that with the extension that Boston gave him this offseason….there is optimisim that he will rebound. Dan Strafford (FNTSY Radio, @DanStrafford): I think a healthy amount of concern is worth while any time a pitcher isn’t hitting the velocity levels we’ve seen them consistently at. With no context, I’d be more concerned about Sale, but we’ve seen this story before. Sale is someone who has intentionally dialed things back in the past and been just fine. In a fantasy context, you’d need to best understand your league mates to consider what to do next. Sale’s value is clearly down from where we were to start the year and bailing on him now isn’t advisable without massive returns. It’s close, but I still would rank Sale first out of the pitchers listed. Alex Chamberlain (Rotofraphs, @DolphHauldhagen): The odd part about looking at Sale’s game logs… many of his lowest velocity readings occur in the months of April and September. They account for 11 of his 18 worst starts by fastball velo, including his April 15 start last year. Don’t know if it’s a mental thing, just mailing it in a couple of times a year, especially early on. I’m hardly a scout, but it looked to me he wasn’t going 100% the other day. That doesn’t preclude an injury — he could be half-assing it because he’s injury — but I’d like to think it was more a conscious decision than one induced by injury. I’d definitely wait one more start to move him, if that decision is on the table. His value is already relatively low after the last start; waiting one more probably can’t make things any worse, only better. Assuming he is broken, I still might only place Snell, Bauer, Carrasco, maybe Clevinger and Flaherty above him (keeping the injured Severino and Kershaw below him for now). Lots of hypotheticals, though. Wouldn’t sound the alarms just yet. Chris Liss (Rotowire, @Chris_Liss): Moderately concerned. Would take Snell and Bauer over him without a second thought. The others except for Kershaw and Severino would be closer calls. Michael Stein (Fantasy Judgment, @FantasyJudgment): I am very concerned about Sale because of his injury history from 2018 as well as his unconventional throwing motion. The drop in velocity is not cause for panic in a vacuum, but coupled with his previous injuries there is good reason to be worried. It is understandable that he would want to hold back in order to prevent any re-aggravation. The idea is for him to pitch the entire year and avoid any time on the injured list so starting the season throwing softer does make sense. That being said, his fantasy value is partially premised on high strikeout totals so his decrease in velocity diminishes his fantasy value. I prefer Snell and Bauer over Sale for the rest of the season based on health and track record. Seth Trachtman (Rotoworld, @sethroto): I’m a bit more concerned than I was entering the year, but the fact his velocity was very similar last April (including one sub-90 mph start, like he had in his second start this year) is more reassuring. He was my second ranked pitcher behind Max Scherzer entering the year. I’ve dropped him a few spots, but I’d only put Trevor Bauer and Walker Buehler ahead of him at this point. Dr. Roto (Scout Fantasy, @DrRoto): Watch Sale become more of a pitcher than a thrower this season. It doesn’t mean that he won’t be good–it just means that I don’t anticipate him striking out 300 batters anymore. Snell and Bauer will have more Ks for sure than Sale by season’s end. Phil Hertz (BaseballHQ, @prhz50): I’m not overly concerned after all the Sox just gave him oodles of money. That said, I’d probably take Snell and Bauer over him and if I can have another week, I migh5 also take Kershaw. 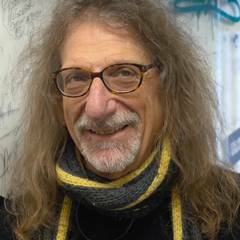 Howard Bender (Fantasy Alarm, @RotobuzzGuy): Not worried about Sale at all. Alex Cora deliberately held back his starters so they were all in line for full work in October. Sale threw fewer than 10 innings of Grapefruit League ball and he’s supposed to be in midseason form? Nah. Not to mention, do we really thing the Red Sox are going to give a guy a five-year extension without checking the medicals real thoroughly? I’m super bullish on both Clevinger and Flaherty, but you just can’t deny what Sale has done over the years. If you believe he’s healthy, and I do, then he’s got to be your top arm. Ariel Cohen (CBS Sports, @ATCNY): It is a 2.5. I am not concerned … but it does register as something to thing about. Sale is a PITCHER first and foremost. He will battle and be effective even if his velocity isn’t as high as it was in the past … and this could just be an April ramp-up. In either case, you aren’t dropping him, you are still playing him each and every week, and no one is trading you any pitcher close to him at this time anyways – so there isn’t anything for fantasy owners to do. As far as who I would rather have over him – the only one I would consider would be Snell. Vlad Sedler (Fantasy Guru Elite, @rotogut): Very little concern about Sale but after these first two outings, it’s the perfect time to field some buy-low offers in case his current owner is panicked. From the list, the only guy I prefer to Sale rest-of-season is Bauer, and that’s because he’s going to be the best pitcher in baseball this year. AJ Mass (ESPN, @AJMass): Let’s put it this way. Last season, on April 17, Jacob deGrom had a 3.24 ERA and a .312 slugging percentage against. Some people may have asked, “What’s the matter with Jake?” All he did the rest of the season was post a 1.50 ERA and a .272 slugging percentage against. Sure, Sale *could* be hurt. He also may win the Cy Young. Small sample sizes are sometimes bad. Remember Sale’s back-to-back starts at the end of May/beginning of June last year where he had an 8.71 ERA (.452 SLG)? Did that mean to sell? Until the IL becomes his home, you stick with him. Michael Rathburn (Rotowire, @FantasyRath): As a Sox fan, I am concerned a little. I watched both starts and the power RHB on the Mariners took the outside FB and crushed it. It also happened vs. the A’s but not as much. I can see him trying to avoid that pitch until his velocity comes back. I wouldnt take any of the other pitchers over him with the exception of Blake Snell. Andy Behrens (Yahoo! Fantasy Sports, @andybehrens): I don’t want to appear as if I’m completely dismissing Sale’s opening week issues, but this isn’t the first time we’ve seen him dial back velocity. There were no serious warning flares this spring. For me, he’s a strong buy. I don’t see a name on this list of pitchers (other than Snell) who belongs in the conversation with Sale. Patrick Davitt (BaseballHQ, @patrickdavitt): I’m confident that it’s OK because I trust the team. I can’t see them signing Sale to an extension with salary-cap implications if they had any concerns with Sale’s long-term health. And as someone noted upthread, the team seems to be orienting its pitcher management to an extended run into October. I also think that Sale and the team might be trying to manage the long-term transition from Sale being a power pitcher to being more of a “smart” pitcher who gets guys out without maxing his delivery. That will likely have implications for his strikeout totals, which is why I’d probably lean to Bauer and Snell over Sale, but I’m not super-concerned about Sale. Jeff Boggis (Fantasy Football Empire, @JeffBoggis): Sale owners don’t need to be in panic mode. Even if they are, they won’t be able to get full trade value right now. His fastball is in the high 80’s, but I feel it’s more related to a slow spring training rather than pitching mechanics or injury. Blake Snell would be the only pitcher that I would consider in a trade for Sale. Ray Flowers (Fantasy Guru Elite, @BaseballGuys): There has to be some level of concern. That said, sheer panic is taking things way too far. If you’re not going to give an elite performer like Sale some rope, then it brings me back to the position I’ve always held – don’t take pitchers as foundational blocks of your team. Why people would spend a top-15 pick on a guy who didn’t qualify for the ERA title last year and on a guy who threw all of nine innings in spring, and then express concern when he starts slowly is a bit beyond me. He will find his groove eventually. He’s too talented not to. Scott Swanay (FantasyBaseballSherpa, @fantasy_sherpa): Selfishly, I’m not concerned because I don’t have him on any of my teams this year. Keith Law and others have had concerns about his delivery for years, but so far those haven’t been borne out. He’s no Max Fried, but what we’re dealing with here is likely nothing more than a small sample size issue. Snell and Bauer are the only pitchers Todd listed who I think have the potential to produce similar value to Sale over the course of the entire season, but neither have the track record of sustained excellence that Sale does. I’d be buying low on him if the opportunity presented itself. Derek VanRiper (Rotowire, @DerekVanRiper): Maybe it’s naive, but I’m trusting that the medical staff in Boston was confident in Sale’s health before green lighting the five-year, $145 million extension he just signed. I know we saw Luis Severino go on the shelf soon after signing an extension with the Yankees, so that logic isn’t bulletproof, but when you factor in his past history of reduced early-season velocity and his slow-played progress through the spring, I’m not ready to drop Sale’s projections beneath any of the pitchers included in this question. I think it’s easy to justify Justin Verlander, Gerrit Cole, or Aaron Nola ahead of Sale if you wanted to reduce risk, but ultimately, that could be a costly error based on two starts. Michael Florio (NFL Network, @MichaelFFlorio): I am worried about Chris Sale. I get the reports that this is by design and watching video comparing him this year to last year, it is hard to argue that he is fully exerting himself. But velo is down across the Red Sox rotation. Either this is by design or their spring plan was attrocious. Still, Sale sitting at 88 MPH is concerning. He had just one strikeout and barely drew any swinging strikes. Of the pitchers listed I would take Bauer, Snell and Walker Buehler if I could in a trade. Other than that, I would take a shot on Sale returning to form. Mike Gianella (Baseball Prospectus, @MikeGianella): I’m moderately worried about Sale, which is saying something, since I think people tend to overreact to reduced velocity in March/early April. But there’s a difference between being 1-2 MPH below your noirmal velocity and 3-4 MPH below. There’s usually an injury lurking when there’s that much of a drop and even when there isn’t it takes a while for pitchers to adjust to their new, diminished “normal”. I’m grabbing Snell, Bauer or Carrasco over Sale right now if I can, and I’d consider Buehler under the right circumstances. Anthony Aniano (Rotoballer, @AAnianoFantasy): On a 1-10 scale my concern for Sale is a 3. The velocity is low but it’s early April, if he is still hovering at 90 mph after 5 starts or 6 starts my concern will grow. His secondary stuff is still good enough to get batters out. Of that list Snell, Bauer, are a preference over Sale. Younger arm with less wear and tear. Buehler still has to prove he can perform over a full season at the major league level. Jon Hegglund (Baseball Prospectus, @JonHegglund): I’m not a Sale owner in any leagues, so this is a purely theoretical question for me, but I’d be moderately alarmed. That said, Snell would be the only name on this list that I would elevate above Sale at the moment. That the velocity issues from late last season and in the playoffs have continued is a big concern for me. Also, while he may well become vintage Sale eventually, how many sub-par starts will you be booking while you wait for him to ramp up? And finally, I’m not fully comforted by the idea that the Red Sox wouldn’t have extended him if they had even the slightest worries about his health. Hey, this logic holds true until it doesn’t. Teams make bad decisions sometimes. If you are a Sale owner, I think you have to hold, but you drafted him knowing full well about the red flags from last season, so you have to keep the faith. Mike Sheets (ESPN, @MikeASheets): I’d be lying if I said I wasn’t concerned. Maybe it’s true that Sale is simply taking it easy early and will ramp up his velocity in the coming weeks. However, the fact that he was pounded by the Mariners in his first start and recorded only one strikeout in his second doesn’t make that explanation easy to swallow. Ultimately, Sale’s secondary stuff is good enough to compensate for diminished velocity, but I don’t want to be having these questions and discussions about a first-round player. At this point, I’d feel better with Snell or Bauer. Justin Mason (Friends with Fantasy Benefits, Fangraphs, Fantasy Alarm, @JustinMasonFWFB): I think it is naive to not have any concern, but ultimately the Red Sox are a smart organization and I don’t think they would be running out Chris Sale every fifth day or have given him a long term contract if they had any concern about the structural integrity of his arm or his health. In my most recent starting pitching ranks over at Fantasy Alarm, I ranked Sale either among starting pitchers behind Scherzer, deGrom, Verlander, Bauer, Cole, Snell, and Nola. Ian Kahn (Rotowire, @IanKahn4): I would take Trevor Bauer over Sale at this point, but that has as much to do with Bauer as it does with my concern for Sale. Sale looked like he was throwing batting practice the other day. He was far from giving full effort. That seemed to be a choice on Sale’s part. One would think that the Red Sox know exactly where he stands physically, and that contract shows great faith in his present and future. I just think the Sox didn’t have a great Spring Training plan with their pitchers, and they are paying the price in the early going. I expect to see vintage Sale coming our way in the next few starts. Mike Podhorzer (Fangraphs, @MikePodhorzer): Level of concern: high. However, it’s only been two starts and nine innings! I projected Sale to earn significantly more than any of the other pitchers listed, so it’s still a bit too early to prefer any of those names. Steve Gardner (USAToday Fantasy Sports, @SteveAGardner): Many pitchers go through the dead-arm period coming out of spring training. I’m not going to worry unless his reduced velocity and effectiveness last for a couple more weeks. The Red Sox gave him a full exam before signing him to his contract extension this spring so that’s the most important piece of info for me. Clay Link (Rotowire, @claywlink): I’m concerned about Sale, as I have been since the end of last season. The fastball velocity was down to 92 and then 90 in his final two regular-season starts, and it was down around 90 in the ALCS. Now that concern is hightened, as he’s had close to a full offseason and the velocity hasn’t returned. The silver lining is that he was at least able to work around the diminished velo in his second start, and that lends hope to the idea that he can still be successfull without the velocity, just with fewer strikeouts. Pitchers I would definitely take over Sale: Blake Snell, Carlos Carrasco, Trevor Bauer and Mike Clevinger. I wouldn’t take Severino or Kershaw over him since they’re hurt and we don’t quite know what we’re getting from either when they come back. Jameson Taillon, Walker Buehler and Jack Flaherty aren’t far off from Sale, but I’d still lean Sale. For now. Google Sheet has 2019 Auction and Draft Results for All Leagues. A Platinum membership from Mastersball.com. A copy of the Fantasy Baseball Guide 2019 from AskRotoman.com. A copy of Ron Shandler’s Other Book. A copy of Ron Shandler’s Baseball Forecaster, from BaseballHQ. A copy of the Rotowire Fantasy Baseball Guide.